The Ex-MRC+ enables reliable and lasting ATEX air conditioning or refrigeration in coastal areas, chemical plants and on off-shore platforms. Optimal performance at locations with extreme ambient temperatures like the Middle East (up to +55̊C) is guaranteed as well, when using the Ex-MRC+ range. A combination of intelligent explosion protection methods, a condenser with copper tubing and copper fins and stainless steel casing ensures reliable and safe performance, even in the harshest environments. The Ex-MRC+ copper/copper condenser prevents any galvanic corrosion. As a result the technical lifespan is 5 times longer compared to a standard explosion proof condenser. Optional use of R134A refrigerant guarantees a reliable steady cooling performance at high ambient temperatures. 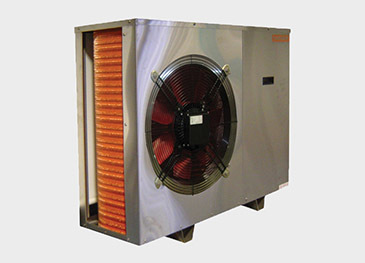 This guarantees no shut downs due to excessive heat and no loss of cooling capacity. The advantages of Ex-MRC+ range are a long technical lifetime, low maintenance costs and reliable performance. Given the whole lifespan the Ex-MRC+ is the most cost effective solution. 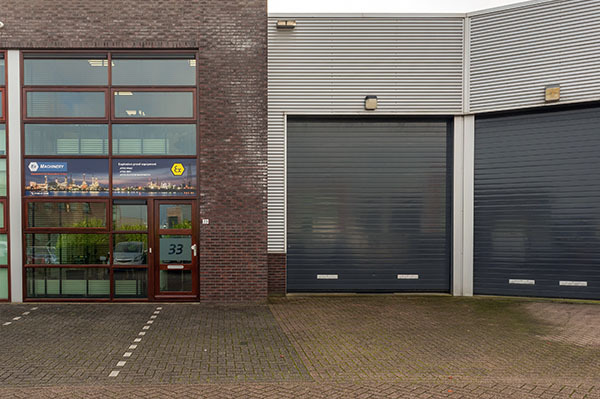 In order to reduce investments both the indoor and outdoor units are available in ATEX and Non-ATEX versions. 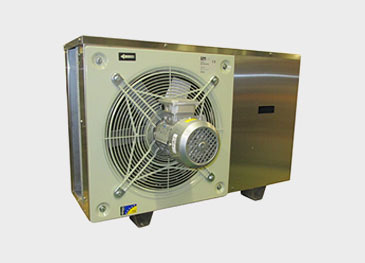 Furthermore bespoke options are available to cover almost any cooling requirement. Specially designed for industrial applications like temporary offices, analyser, storage and battery rooms. In marine, offshore, coastal areas and high ambient environments. For creating healthy and productive working environments. Or to realize steady temperature control of a room. The Ex- MRC+ (LT) range offers refrigeration solutions in hazardous areas for preservation of food or to maintain flammable liquids below the flashpoint. Our explosion proof offshore air conditioners comply with the ATEX harmonised standards: EN 60079-0, EN 60079-15 and EN 60079-11. Ex-Machinery fully assessed and modified the original air conditioner units to ensure explosion safety. The ATEX marking, and the declaration of conformity show compliance with the ATEX guidelines. Gas explosive atmospheres are classified as ATEX zone 0, 1 or 2. We offer explosion proof air conditioners for gas explosive atmospheres zone 2 and. The ATEX marking for zone 2 is 3G. On request we can offer special ATEX air conditioners suitable for dust explosive atmosperes, zone 22; ATEX marking 3D. The outdoor units can be supplied for ATEX zone 1 (2G). A deposit certificate of TÜV Rheinland GmbH is included. Optionally conformity assessment of the equipment carried out by a Notified Body or third party is possible. As a standard this certificate will be prepared by DEKRA. You can find a full explanation on ATEX zones in relation to explosion proof equipment in our blog. We'll gladly provide you with expert advice, send you a quotation or answer any questions you might have regarding explosion proof air conditioners. Response within 24 hours.